Thomas Quality Construction is a full-service home building and remodeling company serving homeowners throughout Central Kentucky. We specialize in home additions and remodeling to older homes, while maintaining the ability to engage new construction projects. Our team at Thomas Quality Construction strives to produce quality, detail-oriented work, while cultivating long-lasting relationships with our clients. When it comes to home additions, Thomas Quality Construction should be your choice for adding another element and value to your home. We understand that your family may grow or you may want to add the addition of your dreams to your existing home. 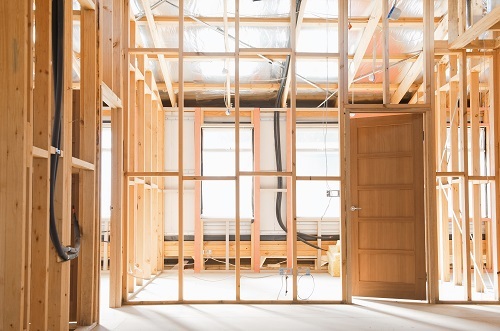 Investing in a home addition can add great value and space to your existing home. Thomas Quality Construction specializes in working with homeowners in an easy to understand and easy to work with manner. There are a number of reasons why you might consider adding an addition to your home and Thomas Quality Construction has the experience to help you make sense of it all. Adding square footage to your existing home is an economical way to accomplish your family requirements without having to move to a new home. The key to success with any home addition is proper external and internal design and planning. When it comes to room additions, Thomas Quality Construction can design and construct the extra space you desire for your home. Thomas Quality Construction will provide you with customized construction to meet your specific needs. In everything we do, no matter how large or small the task, we complete the work with superior quality and excellent craftsmanship. In addition, we use only the finest materials in every project that we do. At Thomas Quality Construction, we are not limited to traditional styles or standard designs. Everything we do is customized to specifically meet your needs and to achieve the form and function that you desire for your home. Call us for custom solutions, exceptional service and great attention to detail to complete your home addition. The construction team professionals of Thomas Quality Construction have the experience and skill to get any home addition job done properly.